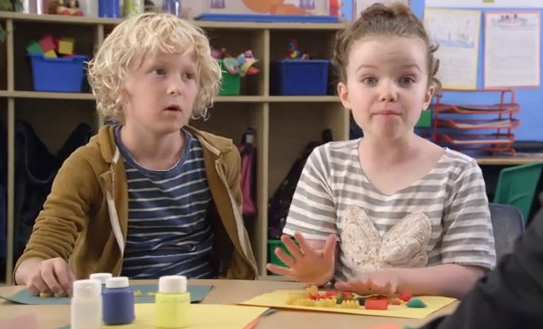 How Unscripted Are Those Kids’ Responses In The AT&T Ads? We’ve certainly made no attempt to hide our distaste with some of AT&T’s business practices, but we are all stupidly charmed by those seemingly improvised AT&T ads in which youngsters in a classroom respond to questions like “Who thinks more is better than less?” But considering how amusing some of these ads can be, we’ve been curious about just how scripted those kids’ replies are. In an interview with E!, the lone adult in the ads, actor Beck Bennett (who, judging by the name, may be a Marvel superhero) reveals the truth.